COLORdash Par-Hex 12 is an intensely bright 120-watt hex-colored RGBAW+UV LED wash light that satisfies the need for a color wash, a white wash, and a UV wash. It projects deeply saturated colors, a variety of whites, and a brilliant ultra-violent, flicker-free and without multicolored shadows. 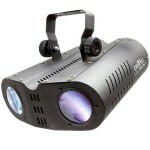 It offers four distinct dimming curves and many DMX personalities for programming versatility. 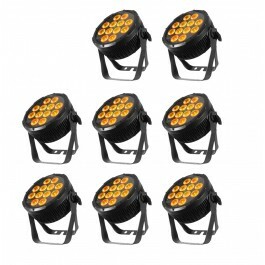 The lightweight yet rugged housing, split yoke, and Neutrik powerCON connections make COLORdash Par-Hex 12 a great fixture for lighting live productions and events.